SIS supplies new parts for your laboratory instruments. We sell replacement parts for Thermo Fisher scientific equipment, Agilent Mass Spectrometers, Shimadzu mass spectrometers, and others. Details for ordering by phone, FAX, e-mail, online, or purchase order. Request information from SIS newsletters, catalogs, mailers, or give general feedback. 1027 Old York Rd. Ringoes NJ 08551. New employment opportunities at Scientific Instrument Services. 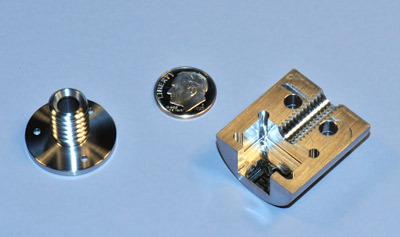 We manufacture and supply precision parts for scientific instruments. Terms and Conditions - Scientific Instrument Services, Inc. Trademarks and common names used throughout our web site and their respective owners. World-wide dealers for SIS products. Scientific Instrument Services (a division of Adaptas Solutions ) manufactures and distributes an extensive line of laboratory supplies for mass spectrometers, gas chromatographs and related scientific laboratory equipment. Locations: Our main filament manufacturing, offices and warehouse are located in Ringoes, NJ, and we have dealer offices world-wide. 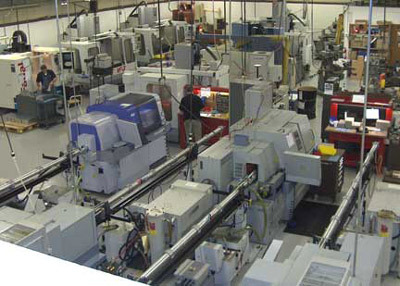 We also have a state of the art machine shop and manufacturing facility in Pipersville, PA. These facilities and our experienced personnel have enabled us to achieve our reputation as a world leader in supplies and service for mass specs and their related scientific and medical equipment. As a medical and laboratory instrument parts manufacturer, S.I.S. manufacturers instrument parts for scientific instrument companies. Our specialty is filaments for mass spectrometers, x-ray equipment and other instruments utilizing a filament heater or emission wire. We can custom design and manufacture filaments to your needs from 10 to +10,000 units. A growing part of our business is OEM manufacturing. 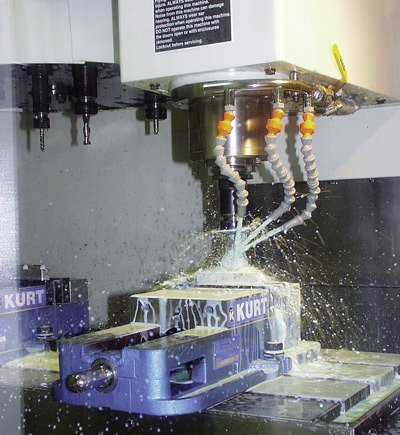 Our capabilities include precision machining (CNC turning, swiss turning, and milling), tig and laser welding, vacuum brazing, filament manufacture, gold gasket fabrication, custom assembly, cleaning (sandblasting, tumbling, electropolishing and high purity cleaning), Finishing, CAD/CAM, inspection, and testing. SIS is both ISO 9001:2008 and ISO 13485:2003 certified. Contact us for information about our OEM programs. 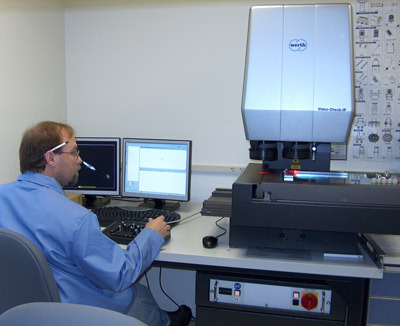 Services: mass spectrometer filament repair (+30 years), source cleaning, gold gasket fabrication, vacuum flange repair and other custom instrument parts repair. Products: electron multiplier detectors, ion transfer tubes, gaskets, ion gauge tubes, valves, filament and heater materials, probes, o-rings, sample vials, cleaning supplies, calibration compounds and much more. Covers Agilent Mass Spectrometers, Shimadzu, Thermo Fisher scientific equipment, and many others. Products: A wide range of vacuum system supplies for mass spectrometers, SEM's and other instruments: including o-rings, copper and gold gaskets, vacuum pumps, vacuum oils, diffusion pump oils, ion gauge tubes, vacuum hose, vacuum pump fittings and vacuum greases. SIS recently introduced our own line of rough vacuum pumps at reduced cost and our new All-In-One Vacuum pump Exhaust filter. Products: A complete line of supplies for gas and liquid chromatographs including capillary columns, microneedle valves, syringes, septa, glass lined stainless steel tubing, ferrules and fittings. We are a stocking distributor for many of the leading column manufacturers and chromatography suppliers. For fast and efficient delivery of your GC and LC supplies, place your order with us. Products A wide variety of fine tools and cleaning supplies for the service of your scientific equipment, including Micro-Mesh fine abrasives for polishing and cleaning instrument parts, swabs and applications, Dust-Off, and a miniature spot welder. We also offer a broad line of Wheaton glassware and lab vials for your laboratory. Our tool lines include Dremel, X-Acto, Panavise, Paasche, Microflame, Littletorch, General, Mettler, Diamond, Foredom and much more. Sample analysis is via thermal desorption techniques as well as a new technique called direct thermal extraction. 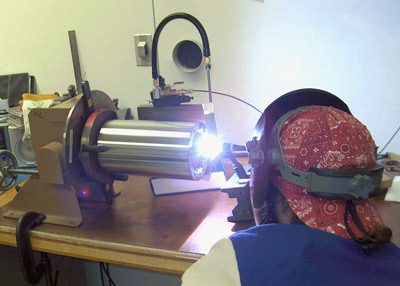 In the direct thermal extraction technique, volatiles can be extracted from solid matrix samples, cryo-focused at the front of the GC column and subsequently analyzed. No solvent extraction or other sample preparation is required. Designed and manufacturered by S.I.S. We develop software for the simulation of particle optics used in engineering mass spectrometers and related equipment utilizing electric fields (SIMION), as well as other embedded instrument, PC, and web software. We sell many mass spectra databases for identification of spectra obtained from your mass spectrometer (NIST/Wiley). Scientific Instrument Services would like to thank you for visiting our website. If you have any comments or suggestions, please contact us. Scientific Supplies Catalog - the print edition of our web catalog - Request your free copy now. The Mass Spec Source Newsletter - Monthly electronic publication from S.I.S. to serve the needs of the mass spec community. Included are articles relating to mass spec, mass spec tips and new products for the mass spectrometer. Request your free subscription now. Tradeshows: We attend a number of tradeshows, such as ASMS and Pittcon. Upcoming tradeshows are on our home page.